She claims to be one of the largest marijuana-industry landlords in the state in a business that is growing chaotically as cities begin to allow recreational cannabis sales after passage of Proposition 64 two years ago. And though it’s been plenty lucrative for her, the murky legal status of the cannabis industry has led to a police search of her home and to some unflattering news coverage — including a headline that painted her as a drug lord. But she does control nearly 2 million square feet of industrial property, mostly in Southern California. Not all of it is rented to the cannabis trade — one of her tenants is Walmart — but she found that cannabis growers can be desirable tenants willing to pay top-dollar rents. That’s because there’s a race on among formerly underground growers and new entrepreneurs angling to become rich supplying legal marijuana to Californians. Some are looking for prime storefronts to open often upscale retail shops, or in rare cases bars where patrons can indulge in cannabis on the property. Others want discreet warehouses — the kind of property Smith owns — where they can grow it, but the buildings are already in short supply. The two tenants that were raided are back in business and paying her a combined $140,000 a year in rent, she said. This week, she sued the city of San Bernardino to overturn its new law regulating marijuana commerce, which she claims is unconstitutional. He recently rented an old warehouse in downtown Los Angeles for his growers and is looking for more space, perhaps in the Mojave Valley. 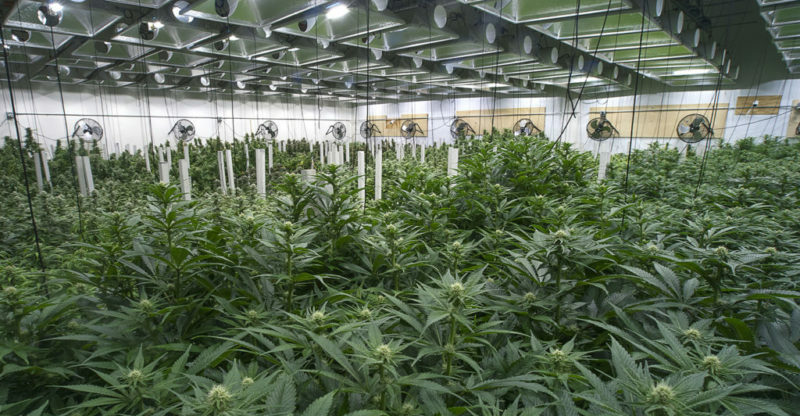 “The warehouse to a cultivator is like a paradise,” Freese said. In January, U.S. Attorney General. Jeff Sessions ended an Obama-era federal policy that protected sales in California and five other states that have legalized recreational marijuana, placing at risk thousands of businesses operating legally under state laws. The federal stance that marijuana is a dangerous drug like heroin and LSD discourages conventional banks from doing business with cannabis-related entrepreneurs. That makes it more challenging to buy or rent the property that entrepreneurs need for their work and keeps big well-known landlords and developers such as publicly held real estate investment trusts out of the business. Marijuana’s outlaw history and uncertain present also get in the way of retailers’ efforts to sell it over the counter, Levy said. In addition to government rules such as no sales near schools or churches, there are unofficial barriers imposed by owners of upscale shopping centers and other landlords who fear being tainted by association and won’t consider cannabis-store tenants. But such judgmental attitudes probably won’t last long, Levy said. A Los Angeles-based chain of cannabis stores called MedMen is cultivating just such an acceptable image with well-appointed emporiums, including one in the Broadway Theater District of downtown Los Angeles. 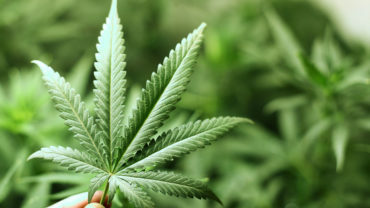 In addition to marijuana samples displayed under glass, there are cannabis products such as vapor pens, sprays, tongue slips, cookies and soda in elaborate packaging neatly organized on shelves for customers to pick up and examine. Anyone older than 21 can walk in to a cannabis store and make a purchase, but they can’t indulge there. Now, though, there is a movement to open marijuana businesses similar to bars. Rents are also jumping for storefronts that could lease to shops or cannabis bars, if cities approve them. Some cannabis retailers even agree to share profits with their landlords. “I don’t know anybody who’s paying less than $6,500 a month rent, and that is for a small shop in a tough neighborhood,” he said. A recent bidding war for a decent 1,600-square-foot storefront on the Westside of Los Angeles ended at $35,000 per month, he said, or about $87 per square foot. That’s more than the average $75-a-square-foot rent for small luxury boutiques on Rodeo Drive in Beverly Hills. Marijuana leaf overused as business logo?